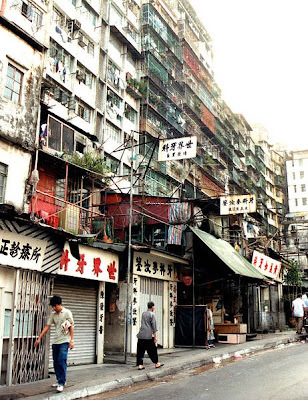 The Walled City of Kowloon in Hong Kong was an accident of history. No-one was sure who had jurisdiction over this area as it was on the border between China and Hong Kong, which until a decade ago was administered by Britain. So police and the authorities turned a blind eye to what was happening – except when bribes were on offer. Over a decade or two, multi-story illegal building on a large scale led to a 3 dimensional rabbit warren of darkness and squalor, with limited and unauthorised water supply, electricity and sewerage. Gangs, crime, drugs, prostitution and protection rackets grew and thrived. The walled city in 1991. It was demolished in 1992. In 1966, Jackie Pullinger was a young English music graduate, a recent convert to christianity, but with no real church background. She came to Hong Kong wanting to do something for God, and ended up helping people in the walled city. Drug addicts, gang members, prostitutes, criminals, children – whoever needed help and would accept it. It took several years to gain the respect of the inhabitants, and to learn to trust God for worthwhile outcomes in the lives of her friends – mostly men, drug addicted triad gang members. But after Winson (see video) came off opium in half an hour of prayer, she had a constant flow of addicts seeking healing. The brothers, as they called each other, learnt to pray for each other and support each other as they came off opium and then put their lives together – getting married, raising families, holding down jobs or joining Jackie in the work. Thousands of lives were affected, and her work was recognised by the British Hong Kong government. 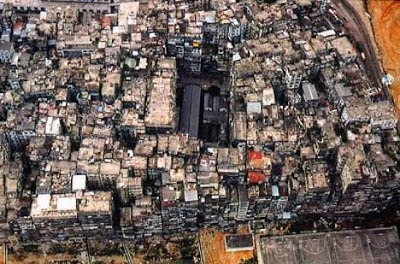 Eventually the walled city was demolished, in preparation for the handover to China in 1997. Jackie married a former addict and stayed on, and her work continues today. I wish all christian ministry could be like this – loving, humble, making a real difference in the lives of people who need it, and dependent on the Holy Spirit for direction and power. Sadly, that is all too rare, in my life just as much as elsewhere. I first learnt of Jackie about 15 years ago when a documentary was shown on Australian TV. You can download an edited video of of this documentary from Veoh.